Originating in Japan, Jiu-Jitsu was modified in Brazil in the 1920's, to maximize efficiency by relying on leverage and technique to overcome a much larger opponent. This martial art utilizes an assortment of joint locks, chokes, throws and positions to keep the practitioner safe and ultimately dominate his or her aggressor. Lions MMA offers a complete Brazilian Jiu-Jitsu program with classes all day, six days a week. Classes consist of natural movement drills designed to increase coordination and core strength, takedown drills, technique and rolling (sparring). Our instructors have the student's individual goals in mind, whether you are a hobbyist or active competitor. 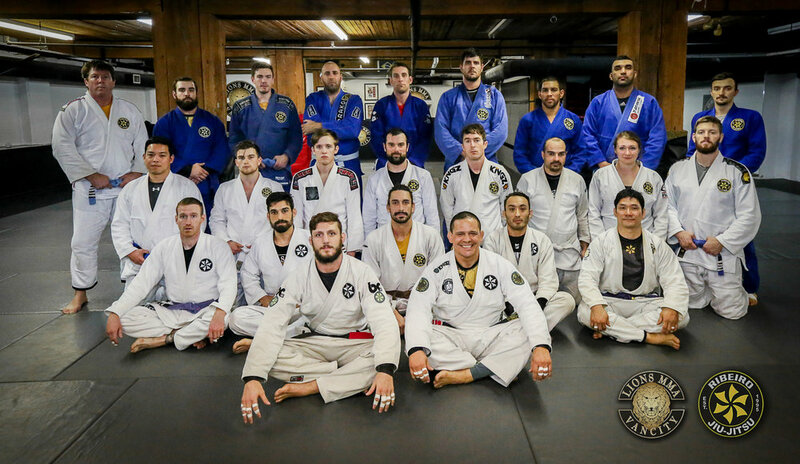 We invite you to join the Jiu-Jitsu lifestyle and become part of the Brazilian Jiu-Jitsu family at Lions MMA! We are offering 30 days completely free - no catch no gimmick - no cost at all ! We will even provide you with a Gi / Kimono. We want you to see what we have to offer you. We want you to fall in love with this amazing and empowering sport. We want you to be comfortable committing to this new and exciting journey. We are offering an EARLY BIRD promotion - a chance for you to sign up for a significantly reduced monthly rate. The early bird promo is very simple. If you sign up during the first 10 days of your 30 day trial you will receive 10% off our monthly Bjj / No Gi packages.